This apartment (90m²) on the third floor of the Tower is resolutely modern and comfortable. You will appreciate the conviviality of this loft with on the first level a living room dominating the countryside, an American kitchen, a bathroom and a very calm bedroom. You will reach the double mezzanine (3 beds) by a superb metal staircase realized by an ironworker of art of the region. The structure of the 17th century visible in the whole of this apartment brings to it an exceptional character. 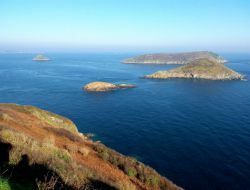 On the Côte de Granit Rose, in the Big Island, in an exceptional environment, we propose you for your holidays 2 independent studios for two persons with terrace and young own gardens, in a particular house in 100m from the beach. 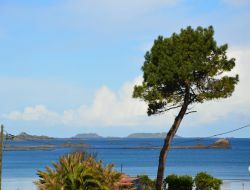 Holiday home in Côtes-d'Armor, in 10mn from the sea and close to St Cast, to the Cap Fréhel and to Dinan. Adjoining holiday rental to a living house, but independent, with fully-equipped kitchen, dining area, little lounge with 1 sleeping around, more 2 big bedrooms, terrace. On the port of Dahouet with sea view, self-catering apartment with all comfort, situated on the third floor of a small new residence with lift and private parking. Beaches, hiking, golf, tennis, sailing, fishing, spa, casino, cinemas. 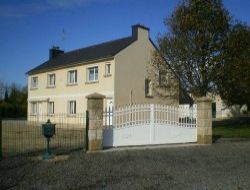 Charming cottage with sea view, for 5 persons, 3 bedrooms, 2 km from the beach, golf and the Pléneuf-Val-André marine spa. Stone villa, family house atmosphere, bright. 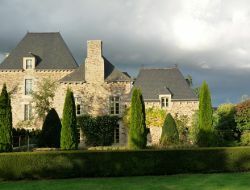 Ideally located between Pléneuf-Val-André and Erquy. 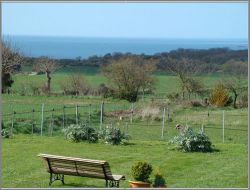 Gites for 3 and 4 persons situated in a fortress of the XIIeme century to Corseul, Côtes-d'Armor, surrounded with greenery in a quiet environment. 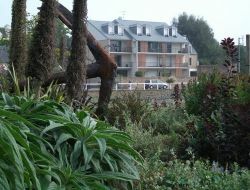 Holiday cottages in only 11 km from the sea and Dinan, 35 km from Dinard - St Malo and 45 minutes from the Mont St-Michel. You can take advantage of all the Emerald coast. 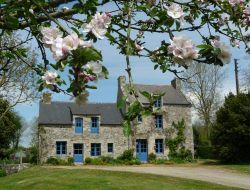 Holiday rental in 5mn from St Brieuc and in 10mn from beaches. 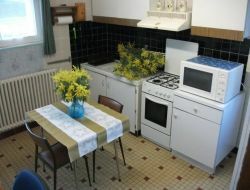 Self-catering apartment T1, tv, hi-fi equipment, microwaves, Wi-Fi internet... Car park, terrace, very quiet. Rent with garden furniture and barbecue + 2 bikes, in 200m from all the shops.... Pets alowed. Beautiful fully equipped apartment 3 rooms 5 minutes from the beaches. You can rest and enjoy the coast of Armor, ideally located in the heart of Plouha with its restaurants, shops and activities. .. Promised land of hikers who will start on the trails of the GR34 (14 km of coastline) and its various beaches.